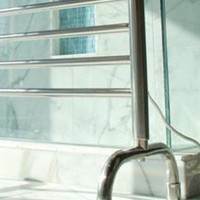 Heated towel racks are know by many names: Heated Towel Bars, Towel Warmers or Drying Racks. Essentially all fulfill similar functions: Dry wet or damp towels, provide warm towels and act as a source of heat for a bathroom. 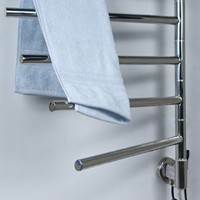 A heated towel rack is not just something that keeps your towels from being crumpled on the floor - they offer many benefits to your bathroom! 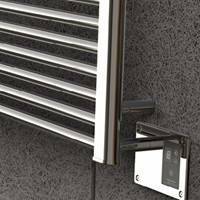 Italian-designed Amba Towel Warmers combine visual appeal with cutting-edge functionality to offer the consumer an aesthetically pleasing, energy efficient and affordable way to dry towels and keep bathrooms warm and mildew free. These towel racks can also be used at pools, spas & saunas, on boats & yachts, and in bathrooms, mudrooms, kitchens and laundry rooms, as well as basements and garages. 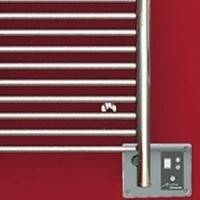 Your towel warmer come to you directly from Amba with a full manufacturer warranty. List prices are shown, give us a call and we will offer our everyday low sale prices, check lead time and help with any questions. Click on a series below for more information. As for energy conservation, Amba's products are front and center. Their heated towel rack collections provide efficient heat and yet, they use minimal energy to operate. Depending on the unit and its location, Amba heated towel racks consume approximately the same amount of energy as a few light bulbs. And accessories such as timers and digital heat controllers make it easy to maximize energy savings. Safety is always top of mind for Amba. 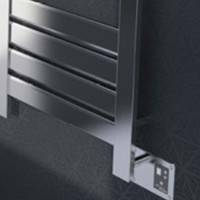 Their heated towel racks meet stringent safety standards for the U.S. and Canada, and are perfectly safe to use indoors when correctly installed. Some collections come with an additional feature that enables the units to shut off automatically for optimal safety. Affordability continues to be as much of a priority for Amba as design and excellence. That's why they go to great lengths to keep their products competitive. Whatever the budget, Amba has a top-notch product to match it. 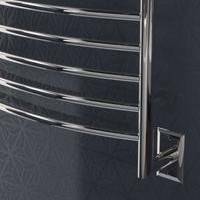 Since 2004, Amba Towel Warmers have been made of long lasting 100% stainless steel. 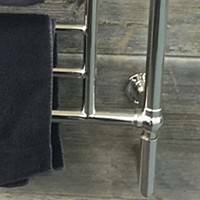 Stainless steel does not readily corrode, rust or stain with water as ordinary steel does making it the perfect material to help keep your towels nice and dry! 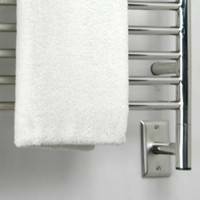 Towel Warmers not only warm and dry damp bath towels but add a sense of comfort and luxury to your bathroom experience. A towel warmer provides an alternative source of heat in the bathroom and helps prevent mold. Electric towel warmers are great for drying damp clothes. The digital heat controller allows you to safely dry more delicate items. Dry, wrinkled clothes can be refreshed by being hung on a towel warmer. Pool or spa owners can benefit from a towel warmer. They are wonderful for keeping towels and bathing suits dry. Towel warmers also help reduce the humidity that is present in enclosed pool areas, especially with the large custom sizes that Amba offers. Most Amba Towel Warmers can also function as space heaters, keeping garages warm and mildew free. In colder climates this application is a real asset. A towel warmer may also be used in warehouse/workshop applications. Mud rooms are a great location to add a towel warmer as it not only provides a warm welcome, but is also great for kid's damp clothes and for drying/warming ski equipment and jackets. A towel warmer installed in a basement can help remove dampness and provide radiant hear, replacing central heating. 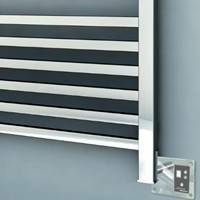 Amba Towel Warmers offers an extensive selection of products, ensuring that the appropriate size towel warmer for this purpose can be obtained.